His twin daughters asked for a Princess Hulk birthday cake. He seriously delivered. 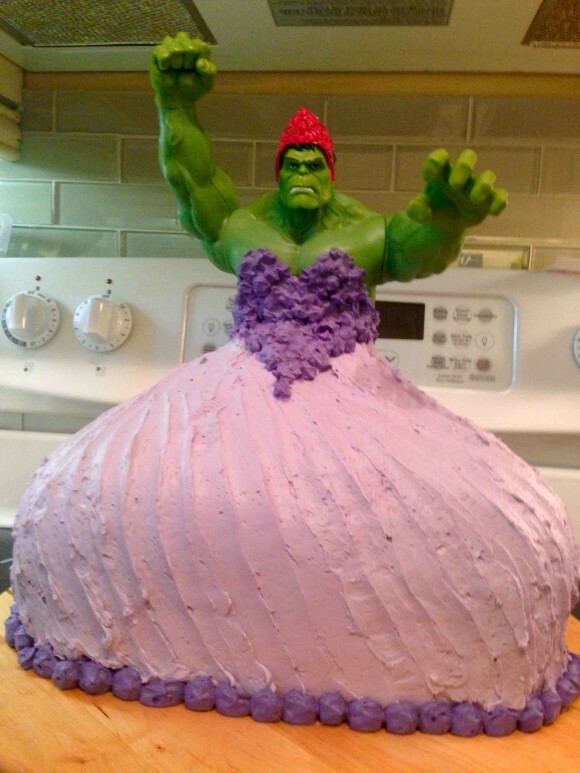 When one man’s twin daughters asked for a Princess Hulk cake for their birthday, the dad got to baking. The Hulk is apparently partial to pink, purple, and sweetheart necklines. It’s a masterful cake. It would make the Incredible Hulk proud. It would make Buddy from Cake Boss proud. It probably just made you proud.